James Montgomery was a Scottish-born poet and hymnodist who spent much of his life, and is widely commemorated in, the English county of Yorkshire. He had deeply philanthropic views on the abolition of slavery and of the practice of forcing children into dangerous jobs such as sweeping chimneys. He was born on the 4th November 1771 in Ayrshire which lies in the south western region of Scotland. His father was a minister of the ancient Protestant faith known as the Moravian Brethren and the boy was sent to train at the specialist Moravian school near Leeds in West Yorkshire. At the same time both his mother and father went to work in the West Indies but both would tragically lose their lives within a year of each other. Despite the strict regime in place at his boarding school Montgomery managed to secretly read as much poetry as he could and made his mind up early on that he would like to be a writer rather than follow his father’s calling. In fact he failed at school so went out into the local community to find employment, beginning life as a baker and then moving to Wath-upon-Dearne in South Yorkshire to work in a shop. His first contact with the writing profession came in 1792 when, having moved to Sheffield to work for a bookseller, he became involved in a weekly newspaper called the Sheffield Register. Within two years Montgomery was running the paper himself and the name was changed to the Sheffield Iris. Perhaps he was distracted by his desire to become a poet because he neglected the newspaper somewhat despite it being the only one in the city at the time. Other titles eventually appeared and Montgomery sold the Iris in 1825 to a local bookseller. He had come to the literary world’s attention in earnest with his collection of poems called The Wanderer of Switzerland, published in 1806. In truth it was one long poem divided into six parts, constructed in seven-syllable cross-rhymed quatrains. It was a controversial piece, attracting criticism and praise almost equally, the subject matter being Switzerland’s annexation by France. Lord Byron praised it and a number of editions of the poem were printed and distributed. Montgomery was commissioned to write something about the slave trade after this and his philanthropic nature allowed him to write enthusiastically about a subject that he was very much against. 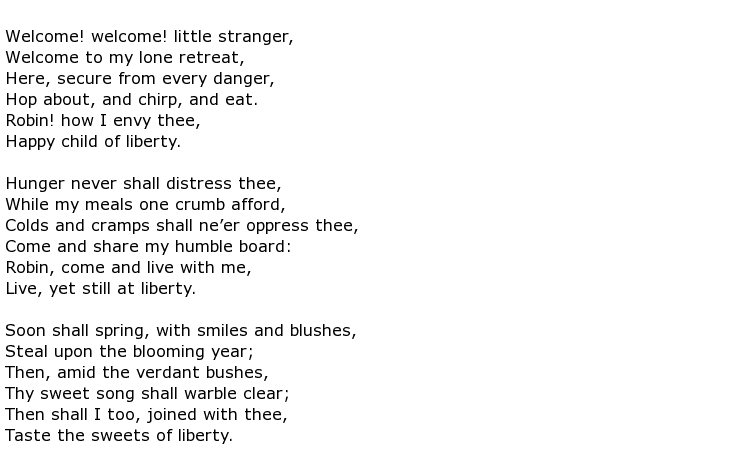 In 1809 a poem was produced in four parts called The West Indies. Then his attack on the practice of using child chimney sweeps followed in 1817, called The Climbing Boys’ Soliloquies. With newspaper editorship well behind him he was a prolific writer for the rest of his life and he produced many hymns including some that are still well known today. He used the words of Psalm 23 to write The Lord Is My Shepherd and Angels from the Realms of Glory is a popular Christmas carol still sung the world over. He spent the rest of his life living in South Yorkshire, being popular in both Wath-upon-Dearne and Sheffield. Monuments in both places have been erected in his honour. Streets, town squares and meeting halls bear his name. The people of Wath were delighted that in his early days he called the place “the queen of villages”. 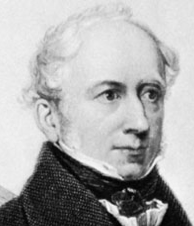 James Montgomery died on the 30th April 1854 at the age of 82. He gave so much of his time and effort to people and good causes that he never had the time, or inclination maybe, to be married.